The Flexcel NX System is designed for a wide range of mainstream packaging applications and uses unique technology to deliver results that surpass those achievable with traditional digital flexographic plate. This technology brings design freedom, predictability and consistency to flexography. Once we receive the above information, we will send you the plate(s) to run on your press. Send us the samples and we will generate a curve and get you up and running with Kodak NX! There are many flat top dot technologies available today, but only one is proven to provide consistent and repeatable results. Test our Kodak Flexcel NX Plates on your presses and see for yourself. 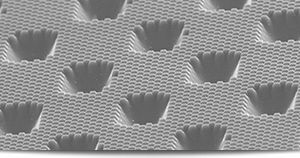 This micro surface texturization pattern is suitable in print applications that traditionally struggle with efficient ink transfer allowing you to achieve higher ink densities and smooth solid area ink coverage. The Flexcel NX System is the only flexographic system that enables true one-to-one reproduction of the image from file to plate. The combination of Kodak squarespot imaging, the fidelity of the thermal imaging layer, and the process of exposure in the absence of oxygen means that the image in the digital file is faithfully reproduced pixel for pixel on the printing plate. This eliminates the guesswork of platemaking and brings total predictability to the process. 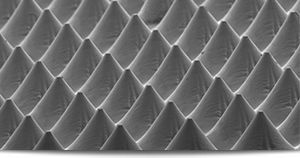 MAXTONE Screening is a hybrid AM screening solution that overcomes highlight and shadow reproduction limitations. 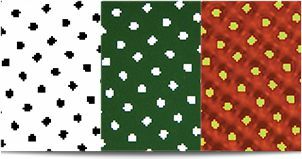 We can control minimum dot size in order to prevent the formation of dots that may be too small to print on a flexo press. This screening technology effectively reduces the flexo break effect that can be seen in blends and vignettes when they fade to zero. You can now deliver offset-like print with improved detail, smoother vignettes, and better reproduction of the entire tonal range. 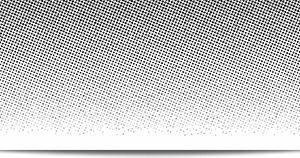 Flat top dots are more resistant to changes in impression, gear chatter and other press variations giving you predictable and consistent results. Up to five times the plate life when compared to other plate materials. Deliver smaller, predictable, consistent, repeatable minimum dots down to 0.4%. This allows higher line screens, finer detail and expanded tonal range. Wider tonal range allows for smoother and cleaner tones. Achieveable when using DigiCap NX Screening in many print environments. Now flexo can compete with offset and gravure. Pixel for pixel every time.